I have a tendency to write my blogs several in a row and weeks in advance, releasing them on set dates to spread them out. Regrettably, the time I once had to devote to this blog on a daily and weekly basis has been snatched out from under me by the demands of a very challenging professional position and the welcomed personal position of being a father to two wonderful sons. 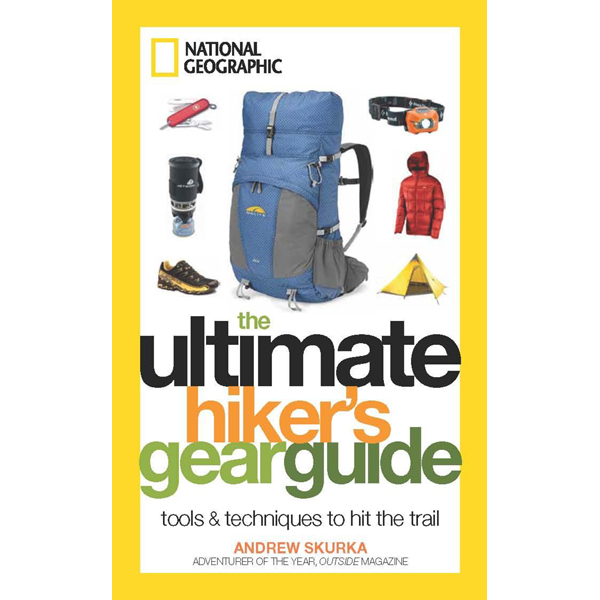 With that said, this week my review for Andrew Skurka’s “The Ultimate Hiker’s Gear Guide” book was supposed to release ($13.29 from Amazon). I guess I shouldn’t be surprised that there are so many reviews about his book as it just came out to the masses even though I got an advanced copy a few weeks ago. Guess I should have timed my release better. Most of the lightweight backpacking community is aware of Skurka who really came on the scene only recently. In a very short time he’s logged more than 30,000 miles principally on long-distance hikes of the Appalachian Trail, Pacific Crest Trail, Continental Divide Trail and several other trips which are lesser known or that he essentially named himself like the Alaska-Yukon Expedition. Skurka’s book rehashes many of the same sentiments that other lightweight backpacking books already covered quite thoroughly. I think the difference is that Skurka seems to be a little more genuine and transparent. For example, most of Ray Jardine’s books make it sound like he never got sweaty, never got wet, never had bad weather, never had a poor campsite, never had failures or injuries, etc. and that he had everything figured out long before his journey started. 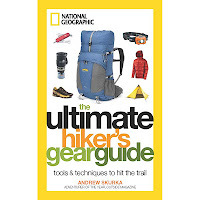 I also found that Skurka's book focused more on the type of gear he used to be successful and he didn't unnecessarily throw out too many gear specifics because he knew full well that anything specific mentioned today would likely be nearly irrelevant tomorrow (the Achilles's heal for many backpacking gear books) . Skurka’s book is written in the same spirit of experience, but his words carry less of an attitude, less of a “my-way-or-the-highway” mentality, and instead he seems to simply be telling readers what he’s learned. I’ve personally never met Skurka, although I’ve read a lot about him and watched many virtually unknown videos of him. I find him very likable, passionate, trustworthy and creditable. My personal impression is that writing this book was likely a bit out of character for him, although a means to continue to thrive as a professional backpacker and guide. From my observations he’s a fairly quiet guy, someone who keeps to himself to a certain degree. He seems to prefer hiking alone which although solitude is helpful in many aspects, for him I suspect it as much out of convenience and schedule as it is out of the real fact that few people would be able to keep up with his super-human-backpacking-Olympian-pace. His professional speaking engagements are cheerful, but reserved, and I’m guessing they weren’t his first choice to fill his schedule as I've never felt like he needed to seek attention to find solace in his choices. He speaks reservedly, but with a clear Duke education and a matter-of-fact tone that is neither snobbish nor judgmental. Simply, he speaks to what he knows and his book isn’t much different. Few things jumped out at me from his book principally because many of the techniques had already been mentioned elsewhere to a certain degree. But to his credit, I didn’t get the sense that he was trying to force-feed the “light is right” mentality. For him, it was a matter of practicality. He wanted to move fast (and was quite successful at that), so he simply carried the gear he thought he needed and was the most reasonably affordable option with decent performance. It was clear as his experience grew, he wholeheartedly admitted that knowledge and skill was far more important than anything in his pack. As someone without a conventional job, it was clear he was mindful of gear choices as it relates to his income. He purchased what he could and attempted to get gear provided by sponsors for everything else which is distinctly different from being a biased and compensated spokesman. He didn’t bathe himself in cuben fiber, nor was he concerned about saving ounces here and there by making things less functional than they could be if he felt he needed them. Skurka started off his book by trying to define two types of hikers: those who seek to cover a lot of ground to experience as much as they can and those who infuse the hiking experience with other desired activities such as camping, bird watching or backcountry cooking. He easily admitted to being far less concerned with camping, sitting around, and doing much of anything other than getting up early, hiking as far and as fast as he could comfortably, and bedding down only at the last minute. I appreciated how he unconventionally embraced fleece in certain situations because it remained somewhat warm when wet (a very likely occurrence for sweating backpackers) and that it was significantly less expensive and more widely available. I liked how he championed the fact that there was really no ideal rain garment on the market as backpackers exert too much effort and will eventually soak themselves from sweat even if they are able to mitigate outside elements. I always get a chuckle when I see debates about eVENT, Gore-Tex, Hyvent and others as it all seems so senseless to me because none of it really matters. I’ve spent entirely too much money coming to this reality. Skurka talked about some details that others rarely do, such as the importance of swapping out shoes and even CCF pads because they do retain their crushed position after a period of time and don’t perform as well. Like others, Skurka supported the use of tarps in most conditions as they offered the most function and breathability, not to mention they were lightweight. For those who haven’t seen Skurka’s video on making a cat food can alcohol stove, it is well worth the watch and of no surprise it was his stove of choice more often than not. I personally usually use Esbits which is more costly but lighter and smaller for someone like me who isn’t looking to trek 3,000 miles. Sure enough, when I do use alcohol I use a cat food can I made myself based off of Skurka’s video. Skurka was unashamed to admit that chocolate had become one of his principal food fuels and I got a kick out of his honesty when he said he wanted his spoon to resemble more of a shovel considering his need for food (fuel) and the fact that he made camp so late that eating was a last minute priority which required a very little amount a devoted time. He too was a supporter of liquid water purification, but used tablets in winter because they wouldn’t freeze even though they were more expensive. I view books like this as a bit of a novelty because the lightweight backpacking movement is still fairly new. I intentionally financially support backpackers like Skurka and others who make videos as it both helps me mentally travel to places I’ve never been and I enjoy having some minor influence of fueling the passion of those willing to push away from a desk and do something other than waste their lives away. Hopefully you will have a similar experience. I must say, few pieces of gear baffle me more than the “Buff”. As you can see from my two-week survey on the right (now wrapping up), it’s a popular item. I was actually shocked by the results because I had no idea it had such a positive following. 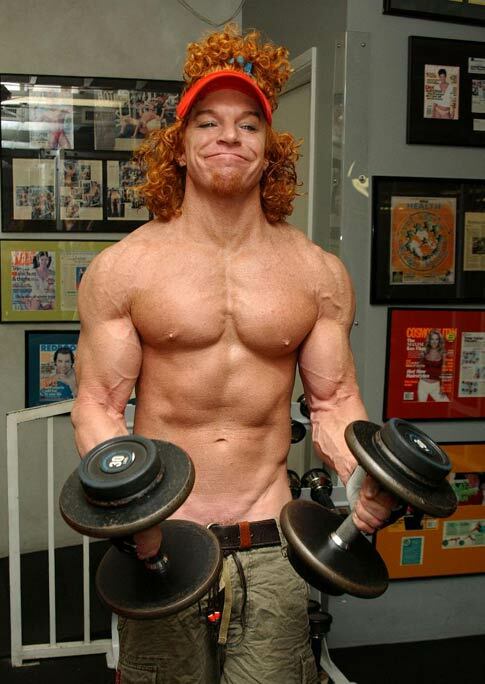 Consequently, I was looking for some online stock photos for this blog entry and found it funny that when typing the word “buff” I got a picture of Carrot Top. It gave me a chuckle so I decided to post it. For some of you, ENJOY, for others, I apologize profusely. 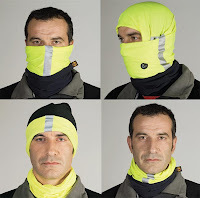 I own a standard Merino Wool Buff and the Polar version. When I do my best impersonation of someone who has a clue how to use it, I end up with something that never seems ideal. It seems to do many things well, but none great. Oddly enough, I still don’t understand why the warmer versions aren’t just one solid piece of fabric because neither end seems sufficiently long to entirely configure to whatever arrangement it supposed to be able to achieve and I have gaps to matter how I wear it, although not entirely too problematic. The appeal of the Buff is clear – options. Well, I guess to some the goofy colors are appealing too (the folks that run Buff must have gone to the same art class as Dirty Girl gaiters). The $20-30 price tag for just a tube of fabric seems like a sham to me, but I’ve willingly paid twice for the product because my sewing skills are about as good as my underwater breathing skills. For those unfamiliar with the Buff product, you can watch a video on it HERE or just search for it. I decided this video was worthy of posting because the main spokesman didn’t sound anything like I figured he would and I got my second chuckle related to this topic. So what’s the point of this blog entry? Well, I’m actually interested in YOUR opinion and I’m hoping to encourage you to give me your insight in the comments section below. What do you like about the Buff and why? When do you find it to be the most useful? What is your preferred Buff and in what climates? What “configuration” do you find it to be the most useful or practical? Do you use it for anything other than wearing on your head or neck (i.e. pot grabber, etc.)? What fabric do you find to be the most useful? Is keeping it dry an option? Feel free to add anything else worthwhile as it might benefit others in addition to me. In as much as possible, I pride myself in blogging about unique gear. 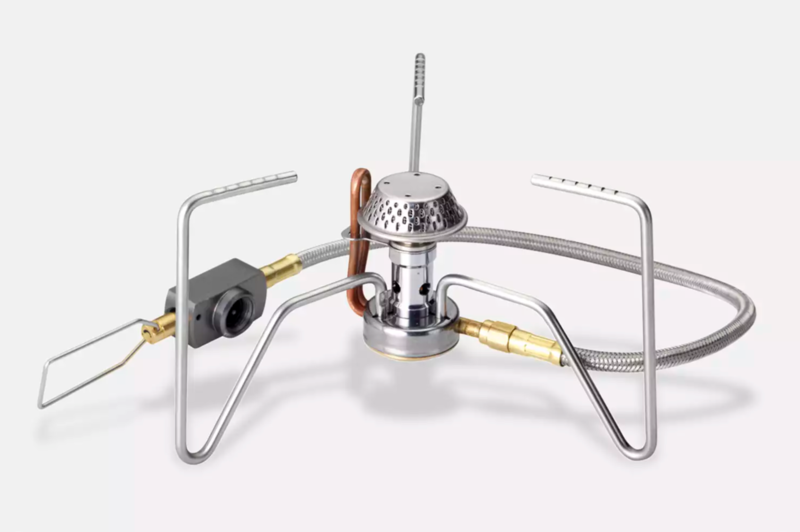 For example, I delayed a recent article about my Jet Boil Sol Ti because I felt it has been written about more than enough times elsewhere and even I found the topic annoying. Personally, I like to focus on unique gear and things that work for big/tall people since I’m in that club. One item I recently came across in my gear closet is something that has been around for roughly 15 years, yet most have never heard of it. 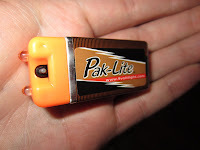 I’m referring to the PakLite, a simple and lightweight flashlight that sits on top of a 9V battery and can burn (on a Lithium battery) for up to 100,000 hours. It often finds itself in the hands of emergency kits for our military personnel and others like you and I.
I first learned of PakLite when I was reviewing Joe Valesko’s Gear List for one of his long hikes. 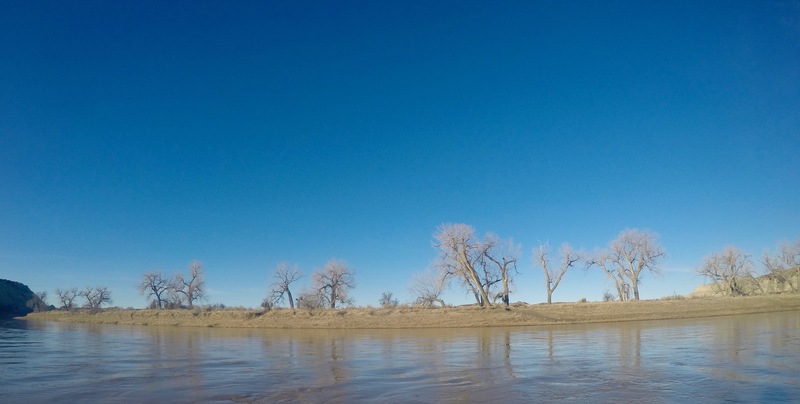 I have a ton of respect for people like Joe who “do” versus just talking about backpacking and I have a tendency to pour over gear lists of people of similar disposition because I value their experience and insight. If you visit the PakLite website, you’ll find a variety of color and burn time options in addition to whether you want one light or two. Their Basic model runs for 20 hours, the Super for 30 hours, and the Ultra (the Lithium version) for 1,200 hours. The marketing spin for “up to 100,000 hours” is likely in the most ideal conditions which you won’t experience, but their claim of it lasting for 10 years is probably realistic for most of us. Oddly enough, their marketing claims the product “works in sub-zero temperatures” which is always good to know. The weight of the light itself is negligible, but the 9V battery is not. Together they weigh 1.6 ounces which is lighter than most headlamps. 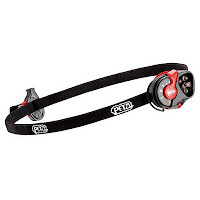 You can even buy a head strap if you want, although the site seems to push a Velcro/hat attachment likely because with the strap the weight becomes comparable to a standard headlamp and I’m guessing most people would rather have something more attractively designed than a rectangular battery hanging off their head. As you can envision by the picture, the LED portion simply snaps on to the battery leads. The Ultra version I have was desirable to me both because of the long-term lithium battery, but also because the cap was orange, it glowed in the dark and had a high/low setting. So why do I have it? 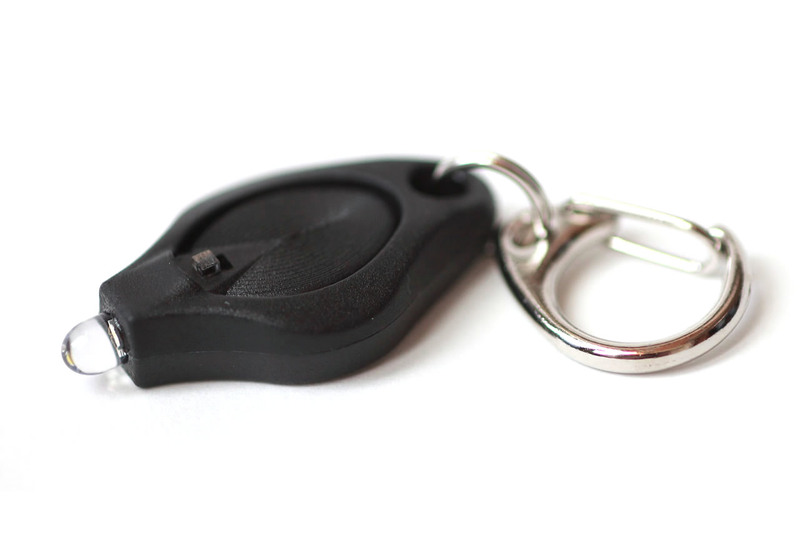 Well, I’m a huge fan of the Photon Micro-Light II LED keychain flashlight. It weighs nearing nothing (6.2 grams), costs less than $12, and has a solid run-time of 12 hours or so. Because it comes in a variety of colors, and because it is so light, it’s not unrealistic to carry, for example, and red and white light – one for reading and one for walking. It is my “go-to” option for 3-season hiking in most places. After I figured out the Micro-Light was brighter than my Petzl eLITE, lighter, and less expensive, it was a no-brainer to make the switch. But in winter months, when the sun disappears so early, it is nice to have a more robust light and one that lasts longer. The “low” beam of the PakLite is about as bright as the Micro-Light. The “high” beam completely drowns it out – no contest, and it's arguably as bright or brighter than other headlamps I own. I is not as bright as AAA or other fancier mini-flashlights however. If you’re in the market, check it out, but don’t expect anything more than a 9V batter with a small LED on top. Nothin’ fancy. Why Does This Blog Look and Function This Way? Ultrarunner Katie Arnold Finds Her Flow in a New Memoir - For Katie Arnold, being in motion is simply a natural state of being. A Blog on the Landscape!